I picked this one up because I’d heard it was a great way to learn about the history of New York City. As the back cover summary explains, one man is offered immortality with the condition that he can never leave the island of Manhattan. The problem is, that twist is given away before you open the book and yet 200 pages into the story it still hasn’t even happened. So you find yourself just waiting for it, instead of allowing yourself to be taken in by the rest of the tale. The first 100 pages or so went really slowly. The book is supposed to be a great New York City tale and at 150 pages, the main character hadn’t even made it to NYC yet, he was still living in Ireland. Then it picks up and the speed completely changes. The story covers multiple centuries but the vast majority of it happens in the first 20 years of his life and in the final part of his life. I felt like the entire middle was simple skimmed over with only a few pit stops. The pacing of the whole thing felt off to me. The fact that the main character knows he will outlive everyone he meets definitely has an effect on character development. I felt like I barely got to know most of the people he befriended. It was like the main character didn’t want to get too attached and so the author didn’t let the reader become invested either. I really enjoyed some sections and felt like I did learn a bit more about the city, but I don’t think I would have made it through the whole book if I wasn’t already planning a trip NYC. One interesting thing, the author finished the book shortly before the 9/11 tragedy. When the two towers were attacked, he talked with his editor and decided to rewrite the ending. He didn’t believe it was right to release a book dealing with so many major events in the city’s history, but not to include such a monumental one. What's the best thing about book blogging? That's right, the bloggers! I love so many things about having a book blog, but by far my favorite thing is the community of fellow bloggers. You people give me amazing reading recommendations. You point out things I might have missed in books and start great discussions. You encourage me to try books I may never have picked up. All-in-all I love you guys. So last week when I had the chance to get together with one you you I jumped at the chance. 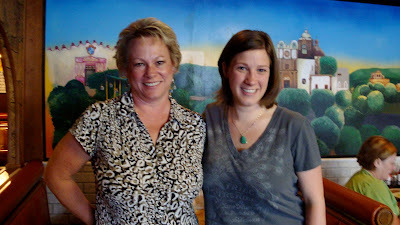 Sandy, who writes You've GOTTA read this, was swinging through my stomping ground and we had a chance to meet up. 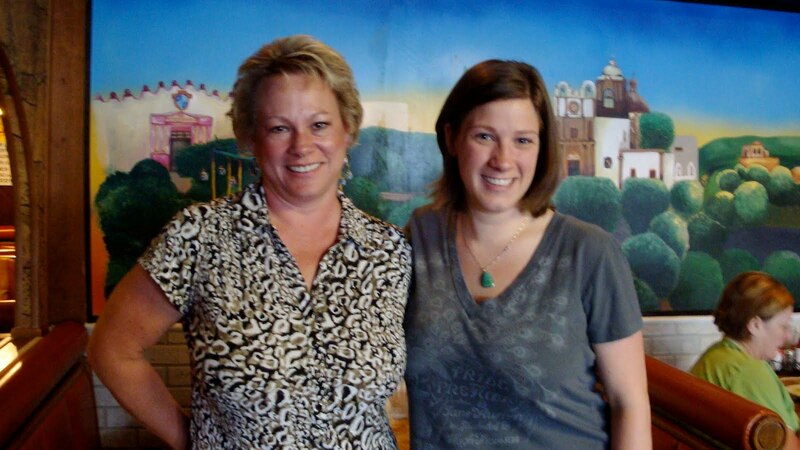 We had lunch at one of my favorite Mexican dives and hit it off immediately. That's the thing about book bloggers, even if we have nothing in common, we share a love of reading and books, so there's never a shortage of things to discuss. Luckily for us, we did have lots of other things in common as well. We went to the same college, we both love to travel and we have an obsessive love of audiobooks, etc. 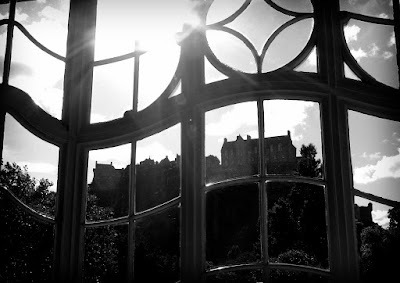 Sandy's blog is one of the first I found when I started The Avid Reader's Musings and I was thrilled to find out that her great sense of humor and bubbling (in an awesome way) personality are the same in real life as they are one her blog. If I hadn't of had to head back to work, I think we could have talked all afternoon. 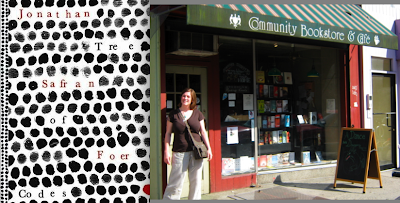 Meeting Sandy (and my meet up last year with Jeanne at Necromancy Never Pays) reminded me how grateful I am to have a platform that introduces me to so many great people and fellow readers. I could go my whole life without meeting some of you, but thankfully, the internet allows us to take our collective shared interests and find each other sprinkled throughout the world. It's so wonderful to know that there are people out there who think "listening" to a book is amazing, who love the smell of old books, who stress out about what books to pack when you go on vacation and who often close a book and find themselves bursting with the desire to talk about it. I always buy books as souvenirs. I’m sure it’s a bad habit (books are heavy!) but I can’t help myself. I’ve bought copies of Alice in Wonderland in Oxford, Kafka in Prague and Treasure Island in California (Stevenson’s stomping grounds). Each time the book becomes a beloved part of my library. 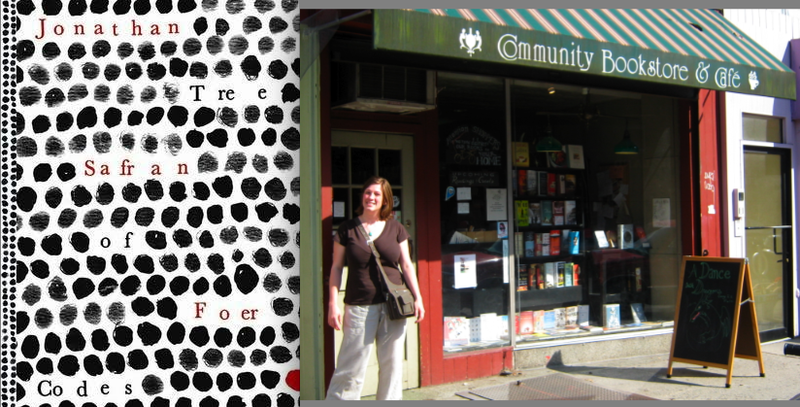 While in Brooklyn last weekend, I stayed in a gorgeous neighborhood, Park Slope, and found out that it’s a place many authors call home. This group of literary greats includes two of my favorites, (who happen to be married), Jonathan Safran Foer and Nicole Krauss. So it was only fitting that I buy one of their books as a memento of my trip. Have any of you heard about this book, Tree of Codes? Foer took another book, “The Street of Crocodiles,” and cut an entirely new novel out of that text. It’s an unbelievable idea and turns the book into a piece of art. I’ve had my eye on it for awhile, but it’s not one that’s easy to find at a used bookstore. My sister had the brilliant idea to cut a piece of card stock into a size, slightly larger than the book, and read it by placing the paper behind each page as you read it. I think it will work wonderfully and I can’t wait to try it. Do you buy books as souvenirs? What do you think of this concept for a book, art or just a hassle to read? *Last photo by moi, middle photo from here. This Pulitzer-Prize winner has gotten a lot of press for its unconventional format. I was a bit wary of the hype, but decided to give it a shot. The book opens with Sasha, a young woman in New York and I was immediately hooked. In the next chapter we meet her boss Bennie, then Rhea, who knew Bennie when he was young, then Lou, Bennie’s mentor, then Lou’s kids, etc. Each new section gives the story from a different person’s point of view, often flitting years into the past or future. For me, chapter 4 “Safari,” in which we meet siblings Rolph and Charlie, was the turning point in the book. It showed me the stories were not just fun glimpses into random people’s lives. All of a sudden the book had an unexpected depth and every new chapter deepened the characters’ overall world. The beautifully drawn maze reveals dozens of interconnected lives. It weaves them together, creating a tapestry that spans decades and continents. The format never seems forced, but instead it enhances each individual story by tying it to someone else’s complicated world. My brain felt like it actually had to work as I started each new chapter. I wondered who this new person was and how they were connected to the bigger picture. I had to pay close attention to all the peripheral people in each section, because I never knew who I would be getting to know next. 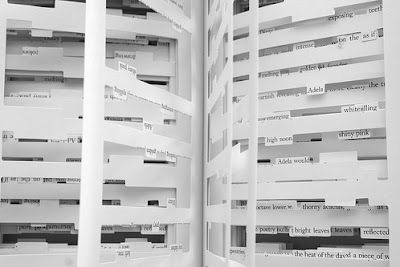 Yet with all those layers, the book never loses its feeling of lightness as readers play connect the dots with the characters. Egan created such a wide web of lives that there is no chance for boredom or a lag in the book. The much lauded PowerPoint chapter lives up to the hype as well. It doesn’t feel gimmicky and works perfectly in the context of that person’s life. She also occasionally reveals flashes of what happens to people 20 or 30 years down the road, which sounds cheesy, but it worked perfectly. I debated my rating on this, because it's by no means a perfect book, but in the end I really loved reading it and I know it's one I'll want to read again*. The thing that really tipped it over the edge is that I want to talk about it. I finished it and couldn't stop thinking about the characters and how they were connected and where each story lay in the overall chronology and I just wanted to discuss it with someone. And to me, that makes it a great book. *I read a library book, but bought a paperback copy I found at Half Priced Books the day after finishing it. 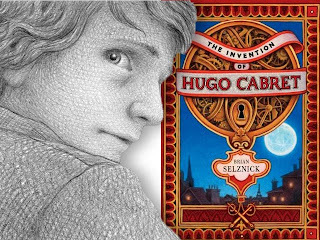 Hugo is the orphaned son of a clockmaker. He lives in a small room in a train station in Paris in the 1930s. His father was in the midst of trying to fix an automaton when he dies unexpected, leaving his son alone in the world. 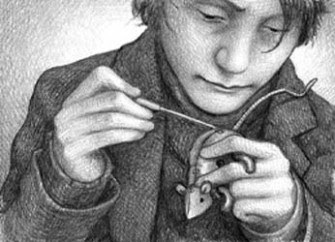 Hugo attempts to continue his father’s work, while trying to survive on his own. 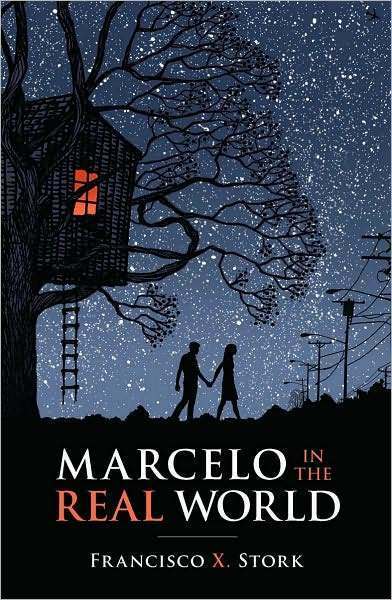 This graphic novel is fanciful and sweet and just the right blend of drawings and text. The story sweeps you along and you find yourself running through the streets of Paris with Hugo, evading police and stealing milk. 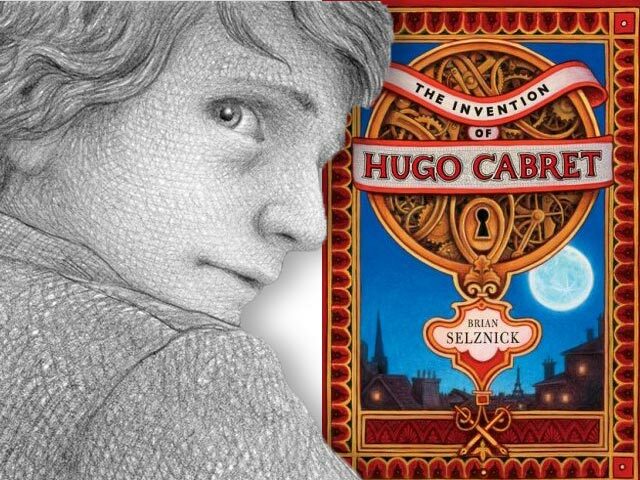 Hugo is caught stealing by a man who runs a toy shop and soon their lives become intertwined. Selznick works bits of fact and historical trivia into the book. I love it when authors do that, because adds a richness to the story. He makes it clear, in an endnote, what is fact and what is fiction. The book looks huge, but I read it all in one sitting. The drawing and photos supplement the text and so it flies by. It was just delightful. I heard Martin Scorsese is making a film version and I can’t wait to see it come to life on the big screen. I think this is the kind of book that would actually work well as a movie. I used to think there was no way I would like Science Fiction. I ruled out an entire genre of literature because I was turned off by the cheesy covers and the fact that sometimes stories were set in space. This is coming from someone who grew up on a steady diet of Star Trek and Star Wars, so I have no idea why I felt that way. I’ve always tended to lean towards Austen over aliens, but that’s no reason not to give it a shot. So a few years back, I listened to my Dad’s recommendation and read Ender’s Game. That’s the book that turned it all around for me. I realized that the reason good sci-fi books are so wonderful is because they highlight the aspects of human nature that remain the same no matter what the setting is. People often focus on the extreme elements of sci-fi. Is it set in space? Is there artificial intelligence or aliens? If so, it’s not for me. What Ender’s Game taught me is that there are wonderful books in every genre and you truly miss out if you ignore a whole section. Just like any category of books, there are ones that are funny, serious, focused on religion, relationships, love, etc. There are good ones and bad ones. Sci-Fi isn’t my favorite genre, by any means, but there are some great books in it that’s I’d hate to have missed. Set on the moon, where a Lunar colony has been established for years, The Moon is a Harsh Mistress explores what happens when a society is left to determine its own rules. What began as a working prison of sorts has now become a true society. Years earlier, convicts were shipped to the moon from earth to farm for wheat, similar to the penal colonies established by England in Australia. Now, those convicts have gone on to start families and the lunar colony is populated with people born on the moon. One such individual is a computer technician named Mannie. While working on the colony’s supercomputer, he realizes that it has become aware of itself. It’s now a sentient being that calls itself Mike and is desperate for friendship. With Mike’s help, Mannie and a few other “Loonies” begin a revolution. They’ve been treated like slaves for their whole lives and want to free themselves from the governments on Earth. When sci-fi is done right, we learn how the most absurd situation boils our personalities down to their most elemental nature. This book does just that. A rebellion against an established government is basically the same no matter where it happens. Heinlein combines elements of politics, sociology and Artificial Intelligence all in one satisfying stew. It’s also really funny in a lot of ways. Heinlein’s sense of humor reminded me so much of Ray Bradbury. I was never as attached to the characters as I would like to have been. Wyoming, one of the only female characters, started off as a strong woman, leading part of the revolution. But by the second half of the book she’s faded to the background. It’s still immensely readable, but it’s not one that I would call a favorite. So, do you guys have any sci-fi recommendations for me? As I’m sure you all already know, the final installment of the Harry Potter movies is being released today. It has been 10 years since I picked up the first book in 2001 and fell in love with the series. Since then I’ve read all seven books multiple times, then listen to them all again on audio. I’ve attending midnight book release parties and even went to the red carpet premier of the fourth film in London. I’ve seen all of the movies and debated the merits of the different directors and different Dumbledores. 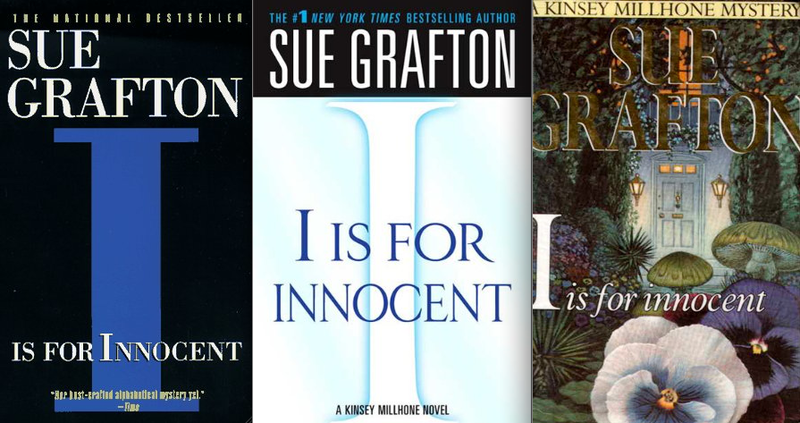 All-in-all, this series has provided some of the most important literary milestones in my life. There are few other books that I have loved as much as these. I felt like I’ve watched the characters grow up and now that’s coming to an end it feels so bittersweet. I can’t wait to see the final movie, especially after finishing the seventh book, but I will miss having more Potter related things to look forward to. Luckily I know the books will always be there for me whenever I feel like revisiting the wizarding world. The wizarding world is in the midst of a war and Harry, Ron and Hermione are on a quest to find and destroy the remaining horcruxes. The seventh book is the only one that does not take place mainly at Hogwarts, instead it winds from the dank rooms of Grimmauld Place to the quiet streets of Godric’s Hollow to the vaults of Gringotts Bank. We do return to Hogwarts, but not for classes. In this final chapter of Harry’s story, everything is on the line. He must defeat Voldemort once and for all or die trying. I love this book for so many reasons. We finally learn the whole truth about Snape, we see Voldemort’s downfall, Ron and Hermione finally make it official, Mrs. Weasley’s wonderful line to Bellatrix, and so many other reasons. Just as it happens in any war, there are also casualties. Even though I knew what was going to happen, I couldn’t help crying at a few points; Hedwig’s death, the graveyard in Godric’s Hollow and the moment Harry walks into the forest with his parents, Sirius and Lupin, they get me every time. This book shows exactly how much Harry has grown up over the course of the series. He’s always been willing to risk his life to save others, but the true sign of his maturity is his decision not to act. His hot head has gotten him in trouble in the past, but at the crucial moment, he has to decide whether or not to try to stop Voldemort from taking the elder wand from Dumbledore’s grave. He chooses not to, and though he second-guesses his decision, in the end he’s learned that he doesn’t have all the answers and jumping to conclusions or diving blindly into action is not always the best choice. Though he died at the end of book six, Dumbledore features prominently in this book. Harry learns all about his mentor’s youth and misdeeds and he begins to doubt the man he has always admired. It would have been easy to end Dumbledore’s story without going into the details of his childhood or tarnishing Harry’s perfect picture of him, but I’m so glad Rowling decided to delve deeper into his life. No one is perfect and showing Dumbledore’s faults made him more human and accessible as a character. After six years of rivalry, Potter chooses to save Malfoy (more than once) in the final moments. I loved that even though they hated each other, Harry’s goodness triumphs over petty revenge. By saving Malfoy, Harry is in turn saved by Narcissa, Draco’s mother, which once again proved that Voldemort never understood the power of a mother’s love for her child and he was undone by it. I think it’s fascinating that Rowling included the concept of squibs in Harry Potter lore. How awful would it be to live in a world where everyone around you can do magic, but you are unable to. People like Filch live in the magical world, but they’re never truly part of it. It also puts a different twist on the “pure blood” mentality, because a witch or wizard could come from the perfect bloodline and still not be able to do magic. One final note, I know many HP fans hated the epilogue, but I loved it. It might have been cheesy to give the books a happy ending, but to me it was perfect. It ended the series on a note of hope and gave us a glimpse into the future lives of the characters we all love so much. 1) Hermione puts the portrait of Phineas Nigellus in her bag and he’s the one who tells them he saw Dumbledore destroy the ring with the sword of Gryffindor. 2) Lupin offers to go with Harry and protect him on his mission. Harry is furious with him, because Lupin would knowingly be abandoning Tonks and their unborn child. 3) There’s a statue of Harry and his parents in Godric’s Hollow. There’s also a plaque at their destroyed home, which is covered with messages encouraging Harry. 4) When Harry is kind to Kreacher, after finding out he had to watch Regulus die, he becomes a brand new house elf, clean and helpful. 5) Harry was a descendent of the Peverells, the three brothers who originally owned the Deathly Hallows. Voldemort also might have been descended from them, because his grandfather owned the ring containing one of the hallows. 6) Luna painted pictures of Harry, Hermione, Ginny, Ron and Neville on the walls in her bedroom with the word “Friends” repeated over and over again. 7) Lupin asked Harry to be his son Ted’s godfather. 8) It was Ron’s idea to get all of the basilisk fangs from the Chamber of Secrets to destroy the final horcuxes. "That which Voldemort does not value, he takes no trouble to comprehend. Of house-elves and children's tales, of love, loyalty, and innocence Voldemort knows and understands nothing." This book gets a big fat MEH, from me. It’s not horrible, it’s just boring. 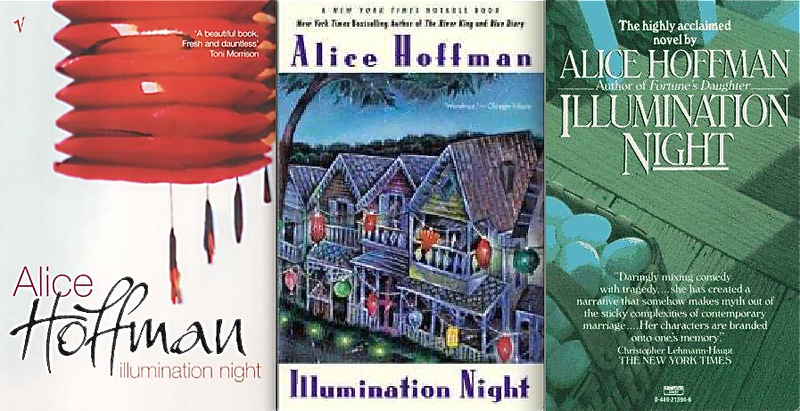 I’ve read and enjoyed some of Hoffman’s other books, like Practical Magic and Blue Diary, so I thought I’d try this one. 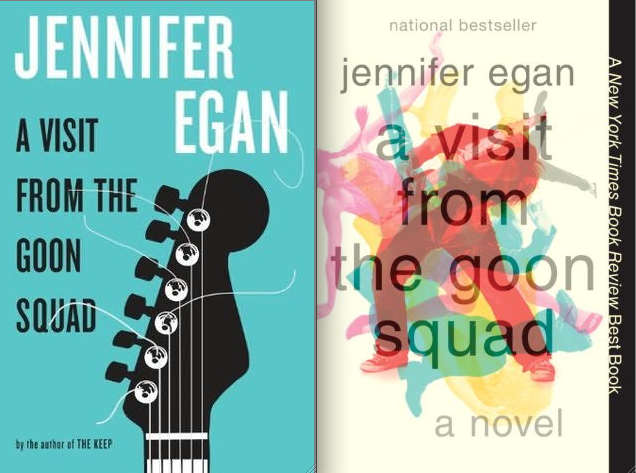 The novel, set on Martha’s Vineyard, introduces us to a variety of characters, but never really settles into a groove. 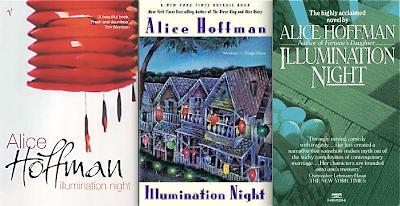 One of the major problems is that Hoffman is trying to tell too many stories at once. First there’s Vonny, who has issues with her rich father and is suffering from agoraphobia. Then we have her son Simon, who is far too small for his age, and her husband Andre, who is tempted to have an affair. Add to the mix, Elizabeth, an elderly neighbor with failing health, and her granddaughter Jody, a rebellious teen who moves in with her for the summer. But that’s not all folks! There’s also a giant, perhaps the most interesting character of the book, but we barely scratch the surface of his story. Throw that all together and try to connect the dots and you end up with a bit of a mess. In the end we aren’t induced to care about any of the characters. Though some of the plot lines are interesting, we never get a chance to become invested in any of them. Skip this one and try another of her books if you’re curious about her work. A chess game in Budapest. 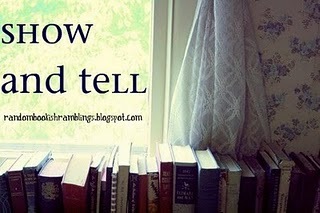 I’m over at Random Ramblings today, taking part in Jillian’s Show and Tell feature. I had to pick one of my favorite books, take a picture with it and explain why I love it. I decided to pick one that no one else had chosen yet (which ruled out The Book Thief, Jane Eyre and a dozen others). I hope you'll stop by and check out everyone's answers. I’m a huge fan of Zafon’s work. I’ve read and loved The Shadow of the Wind and The Angel’s Game, so picking up this young adult book was a no-brainer. It’s a wonderfully creepy ghost story. Even though I liked it, I know it won’t stay with me in the same way his other books have. 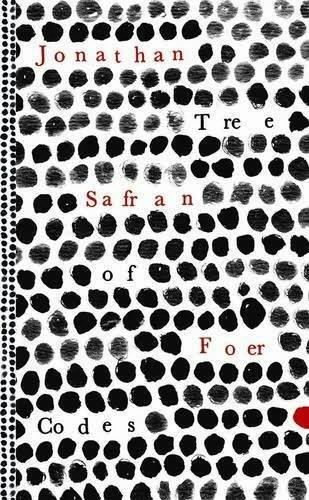 It’s the first book Zafon ever had published and it does feel like a first novel. His writing has certainly improved over time, which is wonderful, but because of that, it doesn’t have the same depth as his other books. I couldn’t sink my teeth into it in the same way, but it was meant for a much younger audience. It reminded me in parts of Gaiman’s Coraline and of The Dark is Rising series and I think it would be the perfect introduction to Zafon’s work for a 10-12 year-old. On the audio, the performer was great, but the sound effects were incredibly distracting. I think a younger audience might enjoy them, but I wasn’t a fan. There’s music throughout and there’s odd extra noises. When it says someone screams, they play a scream, or when a door creaks in the text, you hear it creaking, etc. I didn’t need that additional drama and it sounded cheesy. So maybe with this one, skip the audio and grab a print version. Marcelo Sandoval is a 17-year-old boy with Asperger's Syndrome. 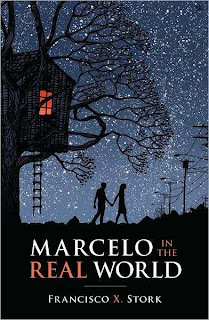 His father, Arturo, is the partner in a law firm and wants his son to spend the summer working there in the “real world.” What Marcelo discovers in this sweet novel, is that no one is perfect. He sees the world in black and white, while most people see a million shades of gray. Throughout the summer, Marcelo gets to know his beautiful, but caustic, coworker Jasmine. He also interacts with Wendell, the son of one of the other partners at the law firm. Wendell is one of those rich boys who think they can do anything because they are a CEO’s son or a famous politician’s nephew. Bigger men have always gotten them out of trouble in the past and they've never really had to pay for any of their crimes. I hate those guys… a lot. I loved Marcelo’s voice. He is so sincere and trusting, but when something feels off or wrong, he knows it immediately, even if he can’t explain why. Marcelo’s innocence makes you want to protect him from weasels like Wendell. The book is part Flowers for Algernon and part Curious Incident of the Dog in the Night. I feel like if you’ve read and liked either of those (which I did) you’ll like this one. Don’t get me wrong, this book is not just repeating those plots, it just shares some themes and styles. I felt like we really didn’t need to have Marcelo meet the girl who was injured in the car wreck. It took me out of the story a bit and didn’t feel real to me. For another review, visit Becky’s Book Reviews here. Kinsey is back for another adventure in her life as a private investigator. She’s been kicked out of her former offices, California Fidelity, and she’s started and new partnership with a local lawyer, Lonnie Kingman. She’s helping him investigate his cases in exchange for rent-free office space. The only drawback is the struggle to keep her investigative methods above board. If called to testify in court she needs to be beyond reproach, so breaking and entering is no longer and option. Morley Shine, a fellow P.I., dies and Kinsey takes over a 6-year-old cold case he had been working on. She’s trying to help Kingman find evidence against a man accused of killing his wealthy wife, but the details don’t quite add up. Soon she finds herself in the middle of a bigger mystery than she’d originally bargained for. A hit and run, shots fired through a peep-hole in a door, poisonous mushrooms and her landlord’s hypochondriac brother all complicate matters. As with all the Kinsey Millhone books, if you like the series, you’ll like this. If you don’t, this one is no different. I love having these books as a break or buffer between some of the bigger, meatier classic or modern lit books that I enjoy. They are a great palette cleanser. If I read Henry James and then dive straight into Edith Wharton, the two tend to blur in my mind. Having a quick mystery with the no-nonsense Kinsey is a perfect buffer. p.s. Aren't those cover awful? Somebody needs to get on that. I was born in 1984. So for me, the ‘80s mainly consisted of a lot of My Little Pony, diapers and learning how to write my own name, but not a lot of concert going and head banging. I grew up on a steady diet of ‘90s, but was only in kindergarten when the infamous “hair” decade came to a close. This does not mean I can’t appreciate some good ‘80s references though, I was a huge fan of the original I Love the ‘80s show on VH1. I just didn’t experience the decade in the same way as others who were teens during that era. 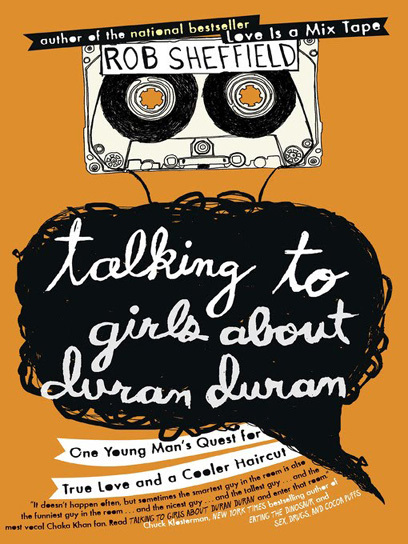 In Talking to Girls About Duran Duran, Sheffield explores his own experiences growing up with a bunch of sisters in the 1980s. As a writer for Rolling Stone, his love of music has only grown over the years, but it was just in its infancy when he was introduced to the music of Madonna and Prince. Sheffield’s candor throughout the book makes it feel like you’re chatting with a friend and reminiscing about your years spent discovering who you are. The chapters, each titled with a hit song, tell disconnected stories from his life. Some are sweet, others funny; there’s a great bit about his love of karaoke, another about the horrible things we do for the people we love (when he’s living with his grandpa). The book’s main strength was also its main weakness. The stories are disconnected, which makes it easy to pick up and put down, but also makes it feel a bit too episodic. It veers from funny to sad, so the book doesn’t have a consistent mood. It feels like a collection of short stories or memories that have been strung together under the pretense of “’80s music.” It’s a fun summer read, but I liked it, I didn’t love it and wouldn’t re-read it. "Sometimes it's a lonely thing to devote your heart to a song, especially when it's a song that literally nobody can stand." I hope all of you are having a wonderful holiday with your families and friends. The Huz and I are in Iowa visiting his grandparents. We decided to take our dog, Ollie, with us and hopefully, (by the time you are reading this) his first road trip has gone well. I'm also hoping I've had a few minutes to read on the 7 hour drive out. I'm taking the final Harry Potter book with me (along with a few others, just in case I need them) and I'm hoping to finish it before seeing the movie. Until four months ago I’d never seen an episode of the Dog Whisperer. I’d heard of him and to be honest, he seemed a bit silly. Then we got a puppy and I became a convert. I’m not saying his methods are flawless, but some of them are pretty amazing. So I decided to check out his books as well. That’s what happens when you’re a reader and you start something new in your life, you read books about it. Whether it’s buying a house, knitting or childbirth, we readers tend to want more information about the subject and we inevitably turn to books. So here are reviews of two of his books. In his first book, Cesar shares stories about his childhood in Mexico and his first experiences in America. The book is packed with tips, but it’s also part memoir, which made it easy to dive into. It also helped explain the reason why he trains dogs the way he does. Learning the thought process behind his methods was perhaps the most valuable thing in the book. Cesar had no money when he came to America and he couldn’t speak a word of English. He worked at a dog grooming salon, and then cleaning limos long before he was the “dog whisperer.” One of his very first clients was Jada Pinkett Smith and she helped him grow his business and learn English. Once he established his dog psychology center he was truly able pursue his dream of helping rehabilitate dogs and train people in how to correctly care for their own dogs. 1) Nose, eyes, ears – If you want your dog to obey you, appeal to their senses in this order. Don’t yell commands at them, use bully sticks and other treats to show them where you want them to go, etc. 2) Calm and assertive behavior – Your attitude affects your dog. It you’re acting crazy, so will they. If they don’t respect your authority, they won’t obey you. 3) You dog is not a human. Simple, right? But it’s not, because we treat our dogs like our babies sometimes. Just remembering that my dog is in fact a dog, makes it much easier to train him and teach him what he is and isn’t allowed to do. He will not get his feelings hurt if you don’t allow him to do something. 4) It you’re trying to overcome a phobia or obsession in your dog, tire them out before attempting anything. When they’re worn out they’re more likely to be relaxed and accept changes. 5) The answer to almost any problem: Walks! If you’re going to try something new/if they’re being destructive/if you’re moving or traveling or going to a dog park, no matter what the problem is, the first answer is always to take them on a long walk. Dogs begin learning about your authority from the first moment that they meet you. In this book, Cesar walks people through the process of preparing for your puppy, picking out a dog, introducing your new puppy to your home and setting boundaries. Cesar recommends picking a dog with the lower energy level than you have, so you’ll always be able to give your dog enough time and attention. You also need to make sure your home and life is ready for a dog before you commit to raising one. I would highly recommend reading the books BEFORE you get a dog. There are so many important tips that I would have liked to know before we brought out dog home. It turns out we did most things right, but there are some things we would have done differently. 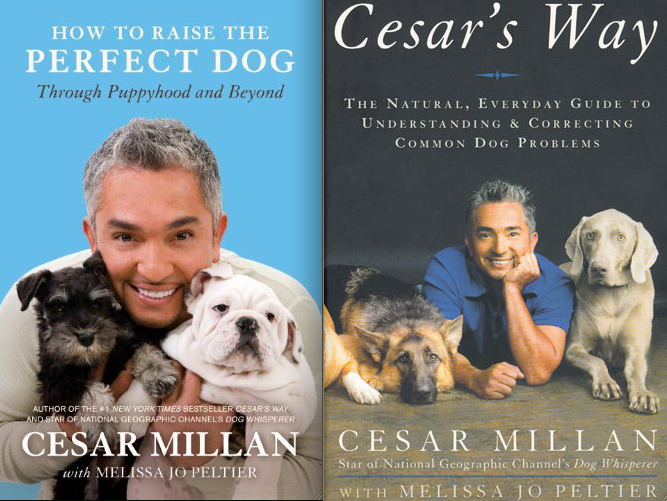 The books are incredibly helpful no matter what stage you are in with your dog (especially Cesar’s Way), but would be most beneficial for soon-to-be owners.